TV series, reality shows, Italian and international films, esteemed directors and Hollywood actors all have the Cantoni make-up stations in common. Our company has been a partner of excellence for television and film productions in Italy and abroad for many years. Cantoni was the first company in the world able to recreate the atmosphere of a dressing room, so dear to the world of showbusiness, in a portable workstation. Supply of portable make-up stations for TV productions. 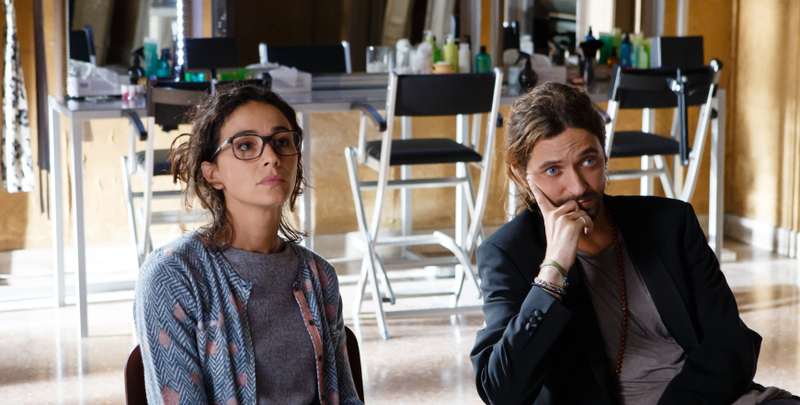 Cantoni’s products, which have always been natural stars of the backstage, have also taken some leading roles in front of the camera in recent years, appearing in the sets of various films (where the storyline involved, for example, the recreation of backstage areas). 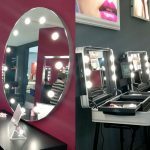 Cantoni has transformed dressing rooms: the new make-up mirrors with I-light system have eliminated the heat and unpleasant, blinding light emitted from conventional light bulbs, whereas the innovating make-up workstations on wheels, equipped with mirrors on both sides, have maximised the space. Moreover, portable make-up cases and foldable make-up chairs have become essential equipment over the years for make-up artists and hair stylists when working on location. Supply of fixed installation make-up stations with lights for backstage use in film productions. Mirrors with lights for backstage use in the TV and film industry. For television and film productions, Cantoni also offers some of its products for hire: various models of make-up chairs, make-up cases with the I-light lighting system, make-up corners complete with an illuminated mirror and storage table. Cantoni’s range of workstations is CE certified and the chairs are tested to withstand considerable stress. 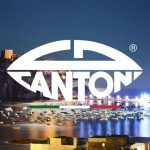 All of Cantoni’s products are delivered directly to the set by specialised carriers and the deliveries are always insured. Lighted make-up stations to work on location.